Cutting wood is tiring and laborious. Usually, tools such as axes and hatchets give the user weight to split the wood but the swing requires work to propel the weight. 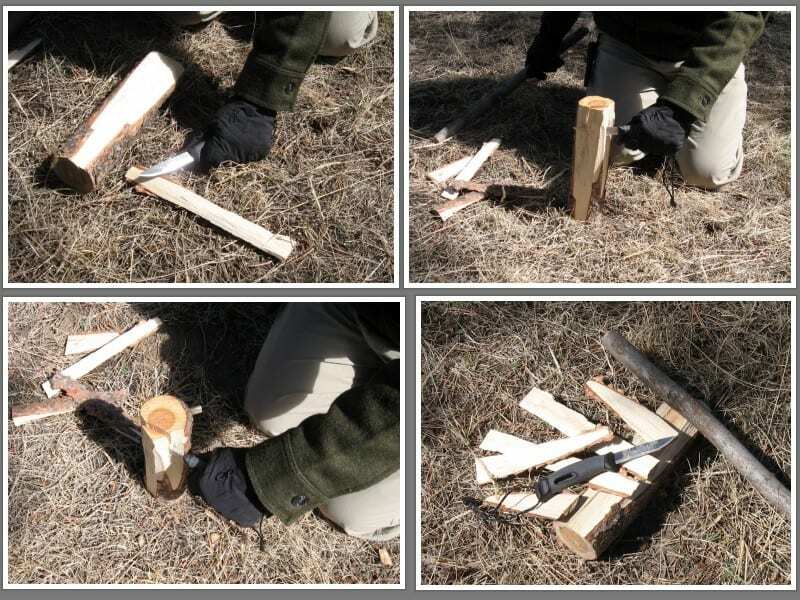 Batoning is a method one can use to split wood with little effort. Batoning also gives the user more control and precision. 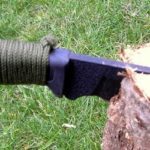 This article teaches you how to baton, what knives you can baton with, as well as clarify some misconceptions about batoning. Batoning is best done with the knife being held in your left hand. Place a piece of wood on top of a steady surface. I prefer a stump because, if your knife goes too deep, it will not be damaged. Point the tip to your right side so that the knife is perpendicular to your body and on top and center of the wood. Take a batoning stick and place it in your right hand. This is usually a piece of wood that has some weight to it. Some people online use bricks or rocks but that will damage your knife. Hit the back of the knife with the batoning stick so that it pushes the blade into the wood. Finally, hit the left or right side of the knife so that the blade wedges itself down the wood. Batoning is best done with soft woods such as aspen because harder woods like oak will require more force. This is optional but I find that wearing leather gloves gives me extra protection from splinters and blisters when I baton. It also gives you a little more grip on a wet day. A good batoning knife should be a long fixed blade and full tang knife. Short knives can work but their effectiveness will be limited to small pieces of wood. Also, make sure that the knife you use has a thick spine, thin spines can break. The Ka-Bar BK3 is a good batoning knife. Will it Damage My Knife? Some people online state that batoning will damage your knife and some people have reported that batoning broke their knife as well. These reports are true but these things will only happen if you do not baton properly. By batoning soft woods with a wood baton, you can safeguard yourself from damaging your knife. Also, make sure you hit the wood at a 90-degree angle as well. McCann, John D.. Stay Alive: Survival Skills You Need. Krause Publications (24 Oct 2011).